My research project on Letter to the World began in the mid 1990s with my decision to dedicate the final year dissertation of my degree in Foreign Modern Languages and Literatures (Laurea) to the relationship between Martha Graham and North American literature. 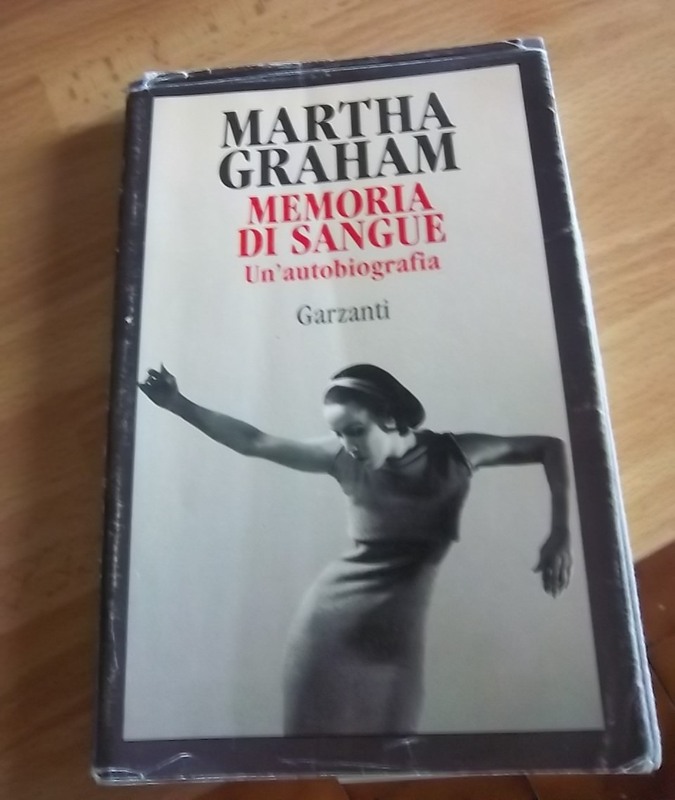 I still remember when I saw the Italian translation of Graham's autobiography, Blood Memory (see photograph) on the window of one of the bookshops in my hometown. I bought it and discovered a mystic and fascinating world. I shyly asked my professor if I could concentrate on Graham for my dissertation and she replied that she had been thinking of suggesting a research project on Graham for a while so that my journey started under a good omen. I dedicated the last chapter of my work to Letter to the World, and I immediately realised that it was worth a much deeper analysis. Since then I have never stopped analysing this dance which still today emerges as a masterpiece of elegance and introspection.